Our experts have vetted and ranked the top personal loan providers to bring you a list of standouts below. Read on to view our top picks and learn more about whether a personal loan is right for you. A personal loan can be a great way to refinance high-interest credit card debt, pay off medical bills, or simply split a large expense into monthly payments that fit your budget. When shopping for a personal loan, the two most important factors are choosing a reputable lender and finding a low interest rate. We've got you covered here - see below for our expert's list of top personal loan providers, and learn how to find the lowest rate for you! One of the top lenders for those with good credit scores and high income, SoFi stands out on our list for having by far the lowest APR ceiling and the highest potential loan amount. This is because they're very selective with who they approve - average borrowers have over 700 credit score and over $100k in income. On top of its low APR rates, we like that SoFi has no origination fees and features a fast online application process. Combine all this and you get one of the top lenders in the industry, for those that can get approved at least. Read our SoFi review to learn more. With low APRs and no fees, Barclays is a solid option for those with good to excellent credit. While Barclays doesn't have an explicit minimum credit score needed for approval, to get a loan funded you'll likely need a credit score above 700. We like that Barclays charges no origination fees or late fees (though you will continue racking up interest if you're late with payments). Overall, Barclays is a great option for consolidating debt or financing a large purchase, for those that can get approved. Read our Barclays review to learn more. Known for their fast application process, Freedom Plus will let you know quickly whether you're approved or not. While they do look at factors beyond just credit score, Freedom plus still plays it close to the vest with an average borrower credit score of 720. But if you get approved, their quick funding times and no hidden fees are certainly a plus. Read our Freedom Plus review to learn more. Payoff is a peer-to-peer lender that issues loans for people looking to get out of credit card debt. A unique feature is their personalized recommendation service that helps encourage you on your journey out of debt. Additionally, Payoff stands out for offering payment flexibility during events such as a job loss. Instead of charging a late fee, Payoff will work with you on a new payment schedule. This may be a good option for you if you have high-interest credit card debt and have exhausted balance transfer credit card options. Read our Payoff review to learn more. Lending Point stands out as a good option for those with poor credit scores. The credit score minimum of 600 is lower than almost all the lenders on our list, though Lending Point doesn't just look at credit score when judging applicants - they have a patented model that takes into account a number of factors. With their flexibility and relatively fast loan approval process, this can be a good option for borrowers with fair to poor credit. 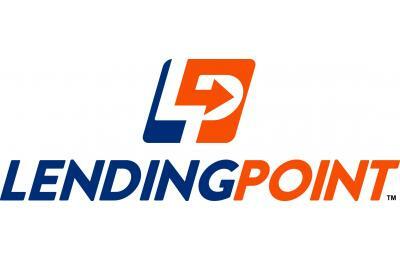 Read our Lending Point review to learn more. Started in 2012 by former Google employees, Upstart stands out with a unique underwriting process that is not solely dependent on credit score. Young people with little credit history but strong future earning potential can be particularly helped by Upstart's innovative approach. As always, we at The Ascent encourage you to shop around and find the best rates and terms for you. Read our Upstart review to learn more. Featuring the lowest minimum credit score on our list, Avant is an option for borrowers that might struggle to be approved at other lenders. Avant sports a fast approval process, getting most borrowers an answer within 15 minutes of submitting their application. We're also fans of Avant's late fee forgiveness policy - if you miss one payment but then make the next three, you get your $25 late fee back. Overall, this can be a solid option for those with poor to fair credit. Read our Avant review to learn more. With a minimum FICO score of 660, Marcus (a division of Goldman Sachs) targets its products to those with good credit scores and those that have credit histories. Marcus offers a best-in-class fee structure which features no prepayment, origination, or late fees. Add flexible loan terms on top of that, and it's easy to see that Marcus is a great option. Read our Marcus review to learn more. When considering a personal loan, the most important factors are finding the lowest rate and choosing a reputable lender. Our experts have identified the lenders above as top choices for factors like avoiding hidden fees and providing good customer service. Interest rates will vary for everyone based on criteria like credit score and income, so make sure you shop around to find the lowest rates for you. Millions of Americans have used personal loans to refinance high interest credit card debt, pay off household bills, or pay down large expenses in a budget-friendly way. A personal loan offers more flexibility than virtually any other type of loan because you can use them for just about anything, from medical bills to car repairs, making them a go-to solution for when you simply need cash to make ends meet. Here's what you need to know about personal loans, and how to pick one that fits your financial needs. Personal loans are defined by two basic characteristics. First, personal loans do not require collateral, in contrast to a car loan, which is backed by the value of your car, or a mortgage, which is backed by the value of your home. Secondly, a personal loan is an amortizing loan, meaning the balance goes down every time you make a payment, eventually repaying your balance in full. Paying for personal expenditures -- The good thing about personal loans is that they can be taken out for virtually any reason. Some common reasons include paying a large medical expense, making home or car repairs, or to pay for a vacation (though we wouldn't recommend borrowing money to go to Disneyland). Refinancing existing debt -- Personal loans are excellent for refinancing high-interest debt at a lower interest rate. For example, it can make sense to use a personal loan to consolidate and refinance high interest credit card debt. Reducing your interest rate from a common credit card APR of 18% to a personal loan rate of 10% or less can save you a fortune in interest.Personal loans are very common. In addition to traditional banks, there are also many different online loan providers where you can apply for a personal loan and get an instant or nearly-instant decision on whether or not you qualify for a personal loan for your specific needs. The process of applying for a personal loan is pretty straightforward. The lender will ask for pertinent information about you, including how much you earn, how much you spend on rent or mortgage payments, where you live, and how much you'd like to borrow. Some may also ask for bank statements and other financial forms. You receive your loan disbursement -- Some lenders do this by check, but most now simply send the money to your checking or savings account via electronic transfer, which puts the money in your account in as little as 24 to 48 hours. The speed at which you can get approved for a personal loan and get access to the amount you borrow is one of their biggest perks. Repayment -- Personal loans typically require monthly payments to repay your balance. During the repayment period, you will be responsible for making a consistent monthly payment to repay your balance over time. For example, $5,000 36-month loan at an 8% APR would require monthly payments of $156.68 every single month. After 36 months, the loan will be repaid in full, and you won't need to make any additional payments. Tip: Some lenders will give you a discount on your interest rate if you agree to automatic drafts from your checking account to pay your loan each month. 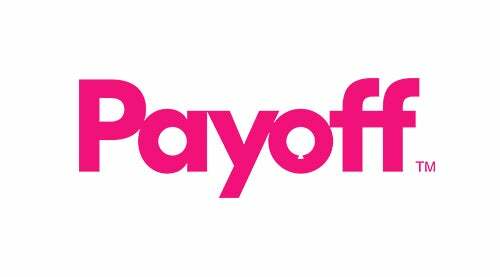 Payoff -- When your loan is paid in full, you'll receive a payoff notice declaring that your loan has been repaid. If you'd like to pay loan off earlier than originally planned, speak to your lender about getting a “10-day payoff” amount. This is the amount of money you currently owe on the loan, plus 10 days' worth of interest. This ensures that you pay enough to take the balance all the way to zero. You don't want to bother with having to write a check for a trivial amount (say…$0.08) a month later. Getting a personal loan can be a good idea if you need financing for a certain purchase or expense that cannot be financed less expensively with a traditional secured loan. Here are the three occasions in which it makes sense to consider a personal loan. You need cash for a personal expense. If you need to borrow money to buy a car or home, there are loans specifically designed for those needs. But if you need money for moving expenses, a wedding, credit card consolidation, home improvements, or a myriad of other personal expenses, a personal loan is often the only way to borrow the money you need. You want to refinance high-interest debt. Personal loans are an excellent way to reduce the interest you pay on a debt, and the monthly payment required to pay it off. While the average credit card carries an interest rate of 18% or more, many people qualify for personal loans with rates in the single digits. You need more time to repay. The advantage of personal loans is that they offer repayment terms as long as 5 years for qualifying borrowers. While a 0% intro APR credit card may be a better option if you just need a few months to pay off a balance, a personal loan makes more sense if you need more time to pay off your balance. A 0% intro APR credit card will reset to a much higher interest rate after the promotional 0% APR expires. Interest rates on a personal loan vary based on your income, credit score, and how long you want to borrow the money. Low APR personal loans for people who have excellent credit can carry interest rates as low as 5%, while borrowers who have bad credit will pay as much as 35% per year in interest. You will pay a higher rate on a personal loan than you'd pay on a car loan or mortgage, but the rate should be lower than the rate you'd receive from other unsecured loans like credit cards. The reason for higher rates is pretty straightforward: Car and mortgage loans are secured by the value of your car or home. If you don't pay them back, the bank can repossess your car or your home, sell it, and recoup some of the money. However, if you don't repay a personal loan or credit card, there isn't any collateral for the bank to repossess to recoup some of the losses. Thus, an unsecured personal loan is much riskier for lenders than secured loans, which is why they carry higher interest rates. Of course, a comparatively higher interest rate doesn't make a personal loan a bad deal. Many people use personal loans to refinance high-interest credit card debt, or to finance a major purchase or expense in a less-expensive way. Below, we calculated how much you can save by financing a $5,000 balance on a credit card at 18% or using a 3-year personal loan at a lower APR. As you can see, personal loans can save you a relative fortune in interest compared to the typical credit card, even on a relatively small balance of $5,000. The advantage of a lower APR is that more of your payment goes toward paying down your debt, which means you'll make more progress toward being debt-free every single month. Origination fees matter -- Technically, an origination fee isn't interest, but it does add to the cost of the loan. An origination fee of 0% to 5% is common, which means you can expect to pay a fee of up to $250 on a $5,000 loan, which will be added to the balance, or subtracted from the loan proceeds. Luckily, the APR you see quoted for a loan includes interest and fees. So, a loan with an APR of 7% is less expensive (interest and fees included) than a loan with an APR of 8%. You may be eligible for a no-origination-fee personal loan if you have a prime credit score (720 or better). Rates vary -- The same person could apply for a personal loan from two different lenders and get two vastly different quotes. Likewise, the same bank may quote different rates for the same applicant depending on when they apply. The point is that it can pay to shop around, as lenders are constantly adjusting their rates and terms. A lender that has the lowest APR today might not have the lowest APR a month from now. It pays to shop around -- Many people fear that shopping around for rates will hurt their credit scores when the inquiries start showing up on their credit reports. But shopping for a lower rate can only help you by finding a better deal, not hurt you. As Experian explains on its website, “generally, credit scoring models will count multiple hard inquiries for the same type of credit product as a single event as long as they occur in a short window of a few weeks.” In short, if you condense your shopping into a short period of time, you won’t be penalized for it. Because personal loans aren't backed by any collateral, credit scores play an important role in whether or not a bank will approve you for a loan. Having bad credit will make it more difficult to get approved, but not impossible. Here are a few tips and tricks that can make it easier for you to get a personal loan, even if your credit is far from perfect. Get a shorter-term loan -- Loans that are repaid in a shorter period of time are simply safer for the lender than longer-term loans. If you have bad credit, you may find that it's easier to get approved for a 24-month loan instead of a 48-month loan, for example. A shorter loan term will increase your monthly payment, so it's doubly important to borrow only as much as will fit in your budget if you go this route. Be selective with applications -- Lenders don't want to waste your time. In our comparison above, we detailed the minimum credit score requirement for our best picks in personal loans. If you have a FICO® Score of 600, it doesn't make sense to waste the time or effort applying with a service that requires a FICO® Score of 640 or better. Focus your time on lenders who specialize in online personal loans for bad credit instead. We put together a short decision tree to help you decide if a personal loan is right for your situation. If all of the following statements apply to you, then a personal loan is likely the best way to borrow money for your financial needs. You need more than a year to repay. Personal loans can be repaid over periods as long as 5 years, making them a good source of medium to long-term financing. If you don't need as much time to repay, a 0% intro APR credit card may be a better way to finance a purchase or expense. A specific loan doesn’t exist for your needs. It would be silly to take out a personal loan to buy a used car, for example, since car loans have much lower rates than personal loans. But for expenses that fit the definition of a personal expenditure, a personal loan is a good fit. You want to refinance high-interest debt. The single best reason to use a personal loan is to consolidate and gradually eliminate higher interest debt. Paying off a $5,000 credit card balance at an 18% with a personal loan at an 8% APR could save you about $867 in interest over a 3-year repayment period, for example. Personal loans are a great way to refinance any unsecured debts at a high interest rate. To refinance debts to repay them over a shorter period (one year or so) a balance transfer credit card with a 0% intro APR may be a better choice. You aren’t borrowing to spend frivolously. Just because you can get a personal loan to buy a 100 inch TV with a $5,000 surround-sound speaker system doesn’t mean you should. A personal loan shouldn’t be used to spend beyond your means, as it’s easy to get trapped in a cycle of borrowing at high interest rates to make purchases that you couldn’t otherwise afford. Barclays Advertiser Disclosure: Annual Percentage Rates (APR) range from 5.74% to 20.99% and will be determined based on your creditworthiness and loan term. Loan amounts range from $5,000 to $35,000. Loan terms are 36, 48 or 60 months.